Taste the spirits of Snohomish County and Washington! Temple Distilling, located in Lynnwood, makes a traditional London dry style gin and navy strength gin. Open for tasting every Saturday from 12-5pm or by appointment. 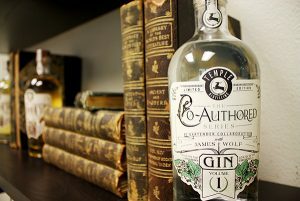 Visit templedistilling.com for more information. Gin, whiskey, rum, vodka? You can find all of those and more at craft distilleries throughout Snohomish County. The lively spirits and liqueurs crafted in this corner of Washington State reflect the character of its people, climate and geography. For a complete list of Washington Distilleries, visit www.washingtondistilleries.com. Wine tasting is just around the corner in Woodinville. Home to 140 wineries, tasting rooms and wine bars, you can experience all the wonderful wines, Washington is famous for Taste famous Washington wines from all over our state in Woodinville Wine Country. Washington State ranks second, only to California, in the production of grapes used to create premium table wines in the United States. For a complete list of Washington wineries, visit www.gotastewine.com. Big E Ales serves up handcrafted beer, delicious bar food, and great conversation in a cozy, family-friendly atmosphere. Taste the fantastic beer coming out of Pacific Northwest breweries, pubs and restaurants serving delicious craft brews. For a complete list of Washington Breweries, visit washingtonbeer.com.